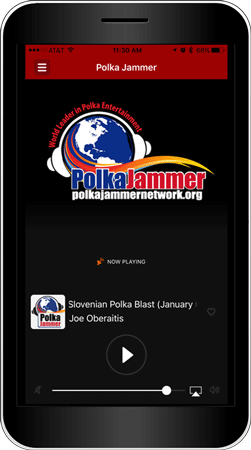 Download the NEW Polka Jammer App on your smartphone or tablet TODAY!! Click the button for your device’s operating system to get the Polka Jammer App from Apple or Android’s online store for FREE! How do I get it. I cannot download this APP. Why the problem??? What operating system are you trying to download this to you. And if you’re phone what software version are you on. If it’s an older edition, it may be outdated and not capable of handling the app. I have been having trouble with the jammer website cutting out just minutes apart and having to refresh constantly. Noticed this past month sept.2016. Had new modem installed and still a problem. Wondering if it could be the jammer website. Couldn’t connect this past weekend . Website said server is down. Any ideas? are you trying to connect on your computer or a portable device? Sat. Oct.8th. Since last week I have downloaded the new app on my Samsung note 4 and now it says the app is suspended contact radio adm. What am I to do now? Having a similar problem as Henry Bozek’s in the Archives on my laptop. when will it be fixed ? If not, what should I do? Our archives pages are not experiencing any problems. When I have time I tune in one of the IJs. the music streaming keeps being interrupted and eventually stops. We have Verizon high speed/broadband. It seems as though it doesn’t buffer far enough in advance. I have an upgraded computer for a year now and had no problem until this summer. It sounds as though your adobe flash player needs to be updated. That would cause the exact problem you’ve listed. Adobe updates this numerous times throughout the year so you might want to start there and make sure you have the latest version of it. I have a similar problem, Archives are no problem, but getting the program on PJ network is the major problem. No voice, no music, no nothing. Have no problem listening on the cell phone. What is the problem with the computer receiving? Please make sure your Adobe Flash Player and Java are updated with the most current version. 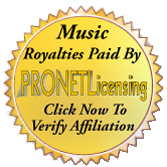 This will prevent you from listening if they are not. You can also try the cable/dsl feed (the top player on the homepage in the right corner) which is not as reliant on the updates as the high definition feed is. We tried to get the Jammer application for our iPod touch but the Apple Store stated we needed to update the operating system (IOS) to version 8 as we have version 6.12 or something like that. Am now in the process of determining the easiest method to do that. We have to backup our entire device to iTunes, download the update then tell iTunes to install it. Not quite a simple process but it needs to be done to use the new Jammer program. accessing the Jammer App once again.